Full Freshwater pearl set, 18" necklace, 7" bracelet and a pair of stud earrings, 8-9 mm graded AA+ (off-round) or AAA (near-round). Clasps in solid 14k gold. 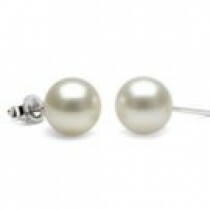 This is a beautiful 3-piece Freshwater pearl set, size of 8-9 mm, off-round (AA+) or near-round (AAA). A 18 inch Necklace with a 7 inch bracelet and a beautiful and elegant pair of earrings. The pearls of this parure have been selected in order to match perfectly together, the set is perfectly composed by similar pearls in harmony. 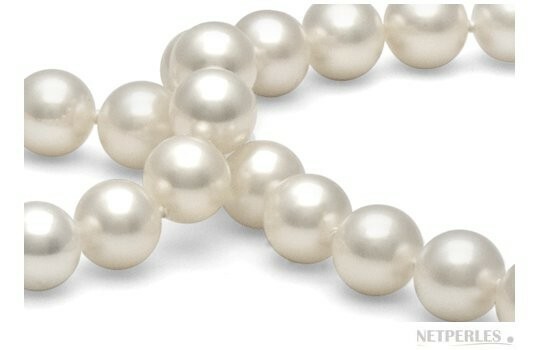 The pearls graded AA+ feature off-round shapes for necklace and bracelet. 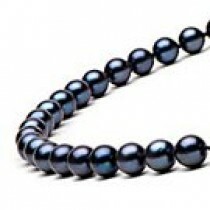 This pearl set is also available with AAA quality and near-round pearls for necklace and bracelet. Both AA+ and AAA sets come with round, AAA quality earrings. The pearls of the necklace and bracelet are individually knotted with double silk thread. The clasps and studs are solid 14 karat gold.